Not everybody wants to rule the world, but those who do are probably not in it for the money. 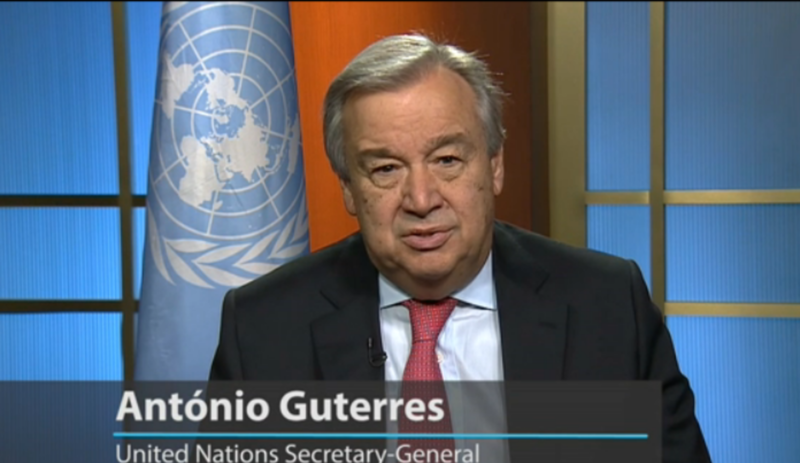 The United Nations Secretary-General’s salary, which has not changed since 1997, is set at $227,253. The amount is determined by the General Assembly. By comparison, U.S. President Donald Trump is paid $400,000 per year. There are a lot of different types of jobs at the UN – general service, security service, trades and crafts, language teachers, national officers, public information… and there are a lot of different places all over the world where one can work for the UN, with some variation in pay. The average United Nations salary ranges from approximately $37,680 per year for Administrative Assistant to $75,000 per year for Learning and Development Officer. Among “Professional” and higher categories the pay scale for 2014 shows the lowest P-1 starting at a gross of $46,487 (but subtract $7-9K of that for assessments of taxes or whatever, depending on whether they have dependants) and the highest P-5 starting at a gross of $106,944 with a theoretical maximum after many years of $133,852. For Director-level positions, D-1 starts at a gross of $129,315 and D-2 has a theoretical maximum of $156,810. Assistant Secretary-Generals get a gross of $172,436, and Under-Secretary-Generals get a gross of $189,744. The Secretary-General gets a salary of $227,253. Considering that even a P-1 is very likely to have a graduate degree, and possibly even a law degree, and someone at the USG level is probably in charge of a large global program, working for the UN very likely means making far less over one’s career than staying in national government, let alone the private sector!